Not really, but sure grabbed your attention, eh? And that’s the point of this post. Calm down. I hear you. You’re a novel writer, not a journalist. Why should you care about catchy headlines? Isn’t that a lame gimmick better left to the National Enquirer? Mastering the art of grabbing the reader’s attention is a valuable skill every writer should hone. In case you haven’t noticed, the written word is exploding from one end of the spectrum to another, from e-books to self-published hard copies to blogs. Getting your work to stand out from the crowd is more important than ever. This is one of the tactics I employed with my blog post title. Think controversial. Think stunning. Think outside the box. This method is most often used by rabble-rousers who get a secret thrill out of rattling cages. If you start off with something everyone can relate to on an emotional level, you’ll draw in the human side of the reader. It’s a pull that’s hard to resist. In my example, I tossed in the word baby. Emotions are what set us apart from the rest of the mammals. Well, that and opposable thumbs. The ol’ People magazine approach, naming what’s hip or what’s not. Naturally this works better for contemporaries than historicals…but not always. 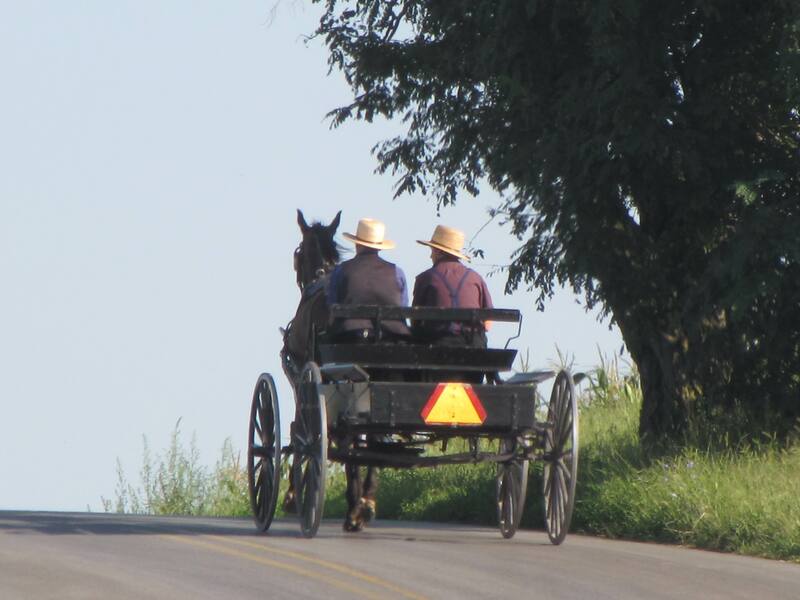 Amish is a buzzword right now, which is why I chose it for my post title. Jumbo shrimp. Government intelligence. Amish aliens. Put two incongruous words together, and if they’re not cliché, people will sit up and take notice. – The first sentence of a book…better yet, make that the first sentence of every chapter. – The last sentence of each chapter. Force your reader to turn the page. – Back cover copy. Often this is where you reel ‘em in or break the deal. – The one-liner that sums up your entire novel. So go ahead. Give this a whirl. Don’t be afraid to stand out from the crowd, especially when it comes to your writing. Hopefully you’ll attract the attention of an editor, not an Amish Alien. And if you’re brave enough, share with us your re-written stunning first line of your current project (fiction or non-fiction). This entry was posted in Writing and tagged attention grabbing, First lines, last lines, Michelle Griep, People Magazine, writing craft by Michelle Griep. Bookmark the permalink. Michelle—all good advice. It’s increasingly difficult to create “shock and awe” when everyone else is doing the same thing. I think what should make us stand out from other writers is our content–that we actually present deep, moving, compelling content that will open closets in our reader’s hearts and help them become wiser people. If we can promise that—and fulfill it—we’ll gain readers. Thanks for your post! Yep. You got my attention all right. I enjoyed this post, especially the title. Thanks, Michelle. I clicked on the title because of the implied fun. So much doom and gloom these days that any headline that promises a humorous touch catches my attention. Add that you followed through with a post that was short, well organized and had specific takeaways made this a winner all around. Thanks! Lots to think about, for sure. It is getting difficult, but when we’re trying to be creative PLUS being true to our own voice, all will be well.